"Cryptic connections are essentially pathways or connections between individuals that we wouldn't normally be able to estimate or observe. They have largely been ignored by researchers in the past, but this study quantifies their importance. Our study creates an integrated model of social group connections and cryptic connections," said Langwig, an affiliated faculty member of the Global Change Center, an arm of the Fralin Life Science Institute. "Our study has compelling implications that will allow researchers to track seemingly random or indirect connections in wildlife that may spill over to human populations," said Langwig. "We amassed huge data sets for every single bat in each population. 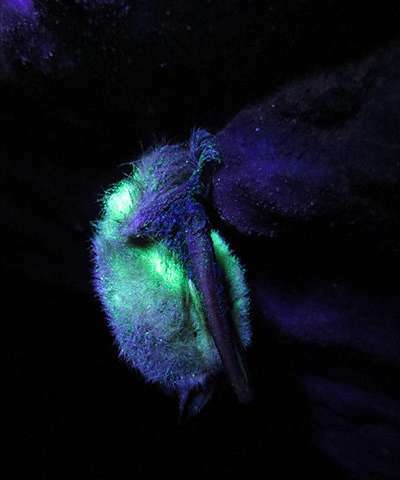 We characterized the bats' social groups, and also used the fluorescent dust to track their movements and contacts," said Langwig. The researchers found that "the spread of the dust mirrors how the fungal pathogen spreads, so we can see if a bat deposits dust somewhere in the environment and another bat passes through and picks it up. It also reveals infrequent direct contacts that we would not normally observe," said Hoyt. 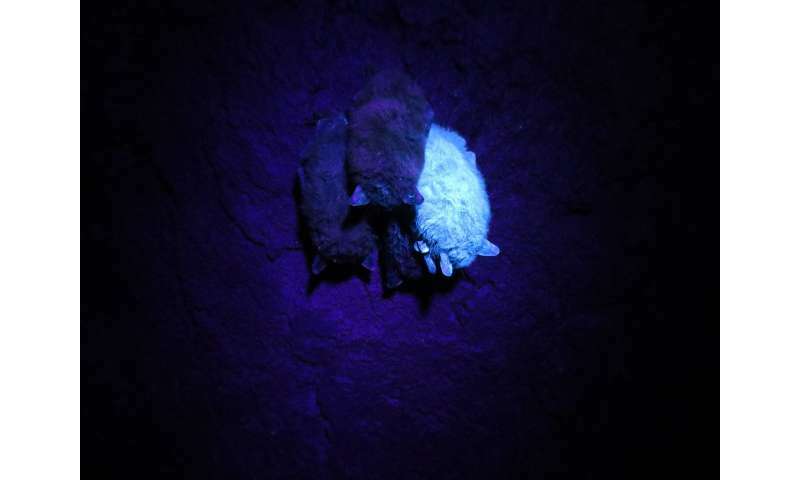 The researchers discovered that a different solitary species, the tri-colored bat, has a lower infection rate and showed less evidence of cryptic connections with other bats, but did transfer dust to surfaces in the sites where it roosts. "We found that the tri-colored bat is much more spatially segregated. It's not that it doesn't rouse and crawl around, it just does so in a range that has less overlap with other bats—it appears to be more territorial in its use of space," Hoyt said. But white-nose syndrome does not appear to pose a risk to human health. It is caused by the fungus Pseudogymnoascus destructans, which grows optimally at low temperatures. 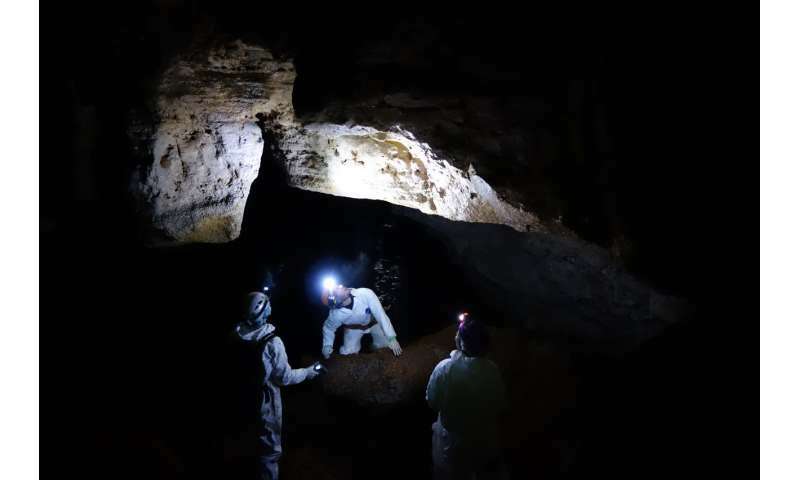 The United States Geological Survey said, "Thousands of people have visited affected caves and mines since white-nose syndrome was first observed, and there have been no reported human illnesses attributable to white-nose syndrome. We are still learning about the disease, but we know of no risk to humans from contact with white nose-affected bats."